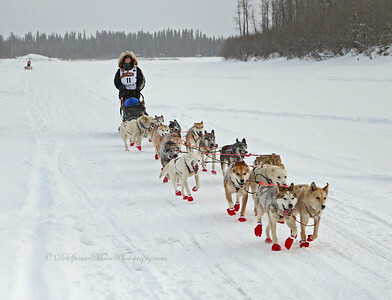 Kristi Berington out on the race trail recognizing us as she passes by. 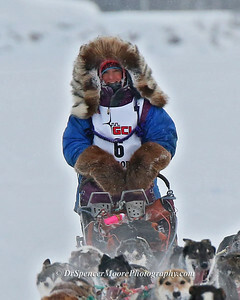 We got to know her the day before the race and she is a delightful person. 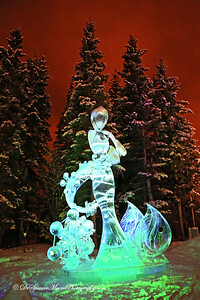 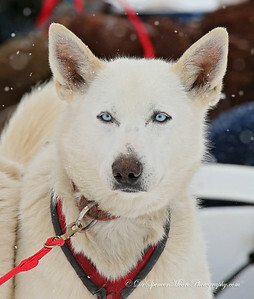 She is in the running to have a spot on the TV show next season, "Ultimate Survivor Alaska". 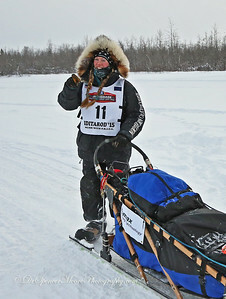 Dallas Seavey is currently one of the stars of the show for this year's season. 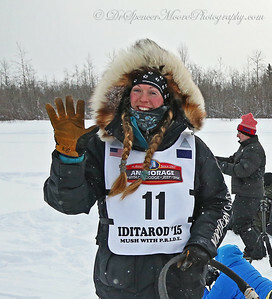 Kristy Berington on the Iditarod race course waving to me as she recognizes me when she passed by. 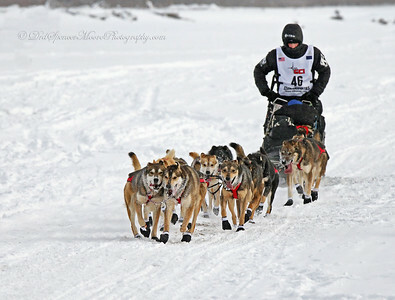 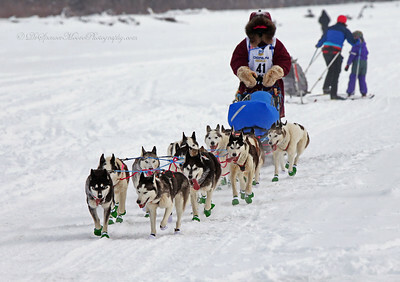 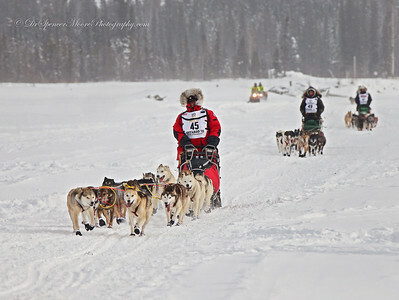 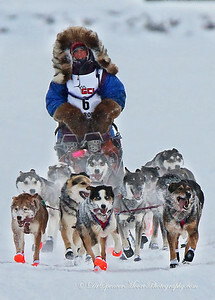 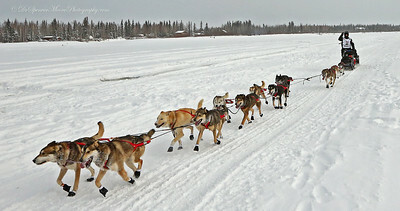 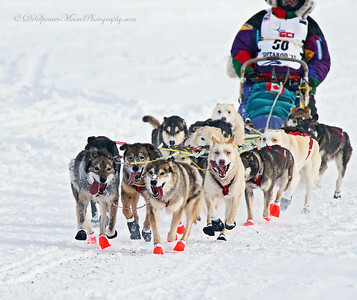 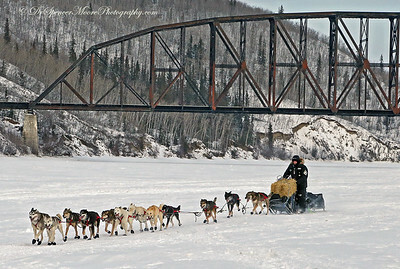 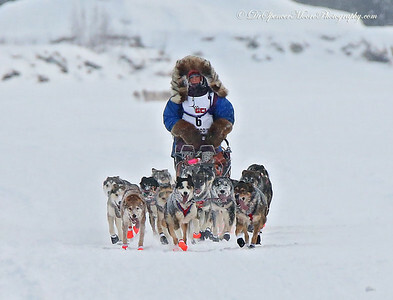 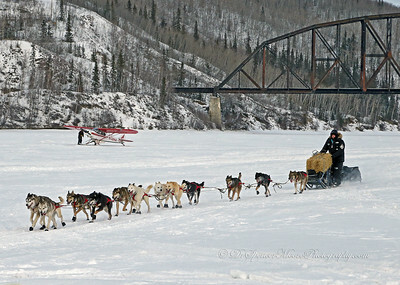 Kristi Berington's team out on the Iditarod race trail with a competitor way back in the distance. 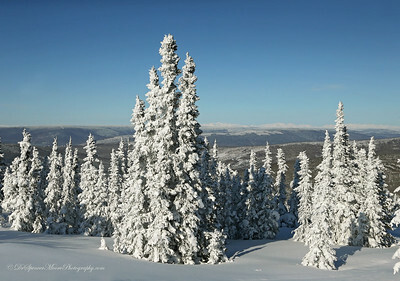 Snow and Hoar frost flocked Black Spruce trees in the mountains of Alaska just south of the Arctic Circle. 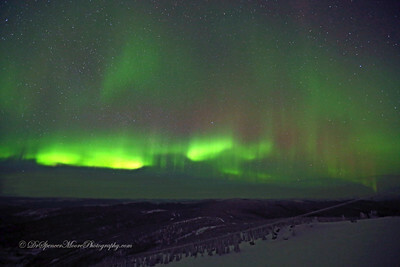 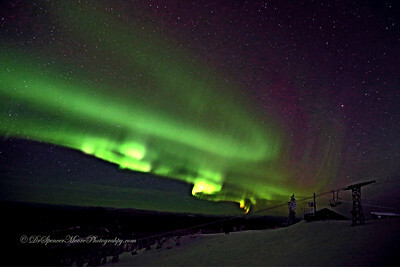 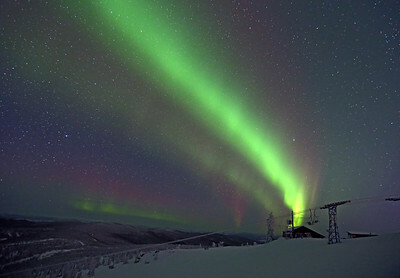 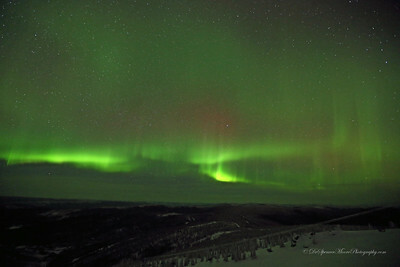 A brilliant burst of the Aurora at 1:00 AM in the mountains of Alaska. 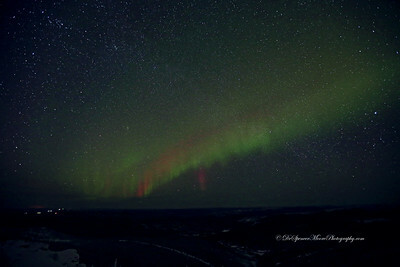 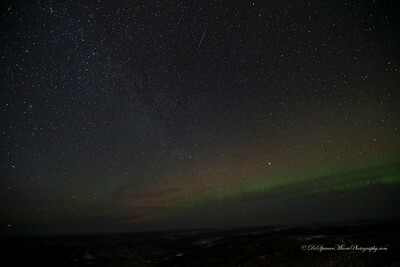 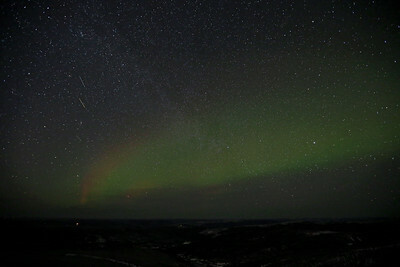 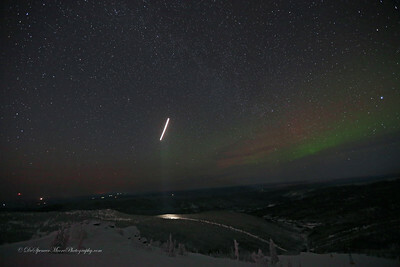 Milky Way in the night sky with a meteor in the sky and a light Aurora glowing on the horizon. 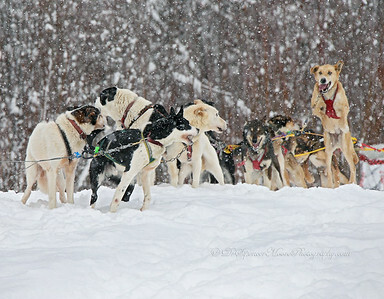 This is what happens when a team of dogs are just about ready to run. 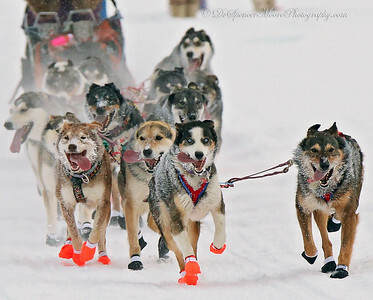 They go nuts and just can't wait to take off. 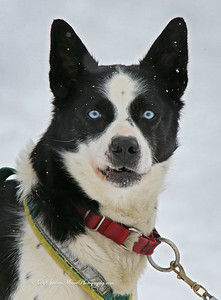 Very funny.